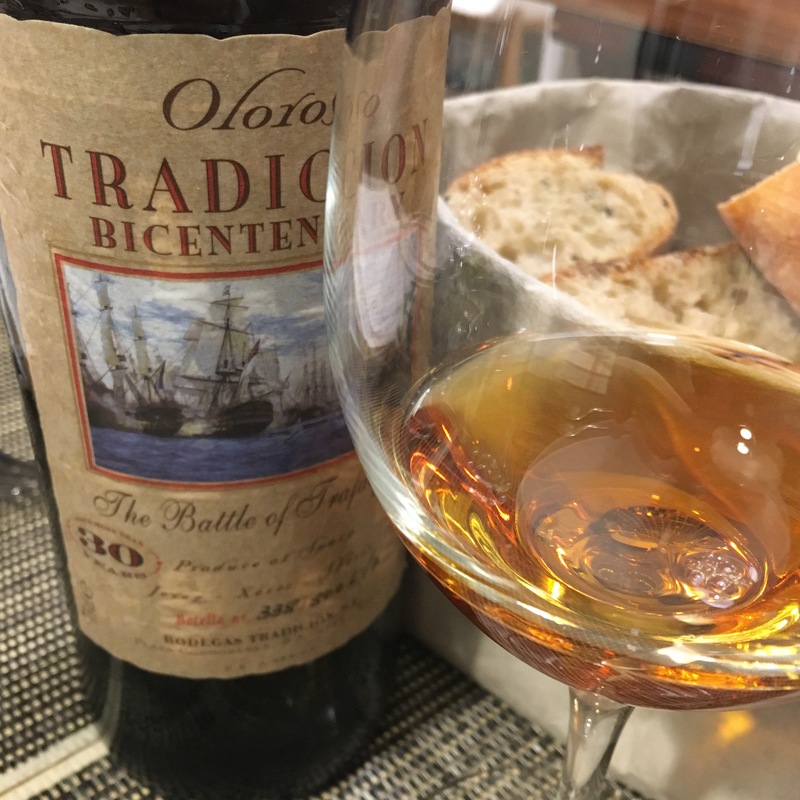 Enjoyed with a terrific lunch at Taberna Verdejo with Bodegas Tradicion and what Englishman could begrudge this – a beautiful label to start with, as Nelson’s ships traverse the hispano-french line prior to sharing them out (only for the storm to carry away the prizes). A magnificent start – you can see the colour and the nose was as bright as brandy, a lovely fine nose. Then on the palate an acid, buzzy swell of distilled, brandy like caramel and bitter flavours and a long finish. The time in the bottle was evident a touch of bitterness on the nose and maybe half an ounce less of lift on the palate, but a top class oloroso no doubt. England expects that every man will do their duty.